Vapedeal (no relations) is having a $4 e-liquid sale that just went live. I just took a quick look and it seems that most of the 15 flavor profiles are still in stock in most nic options. But, I’m pretty sure that won’t last very long once the word gets out. 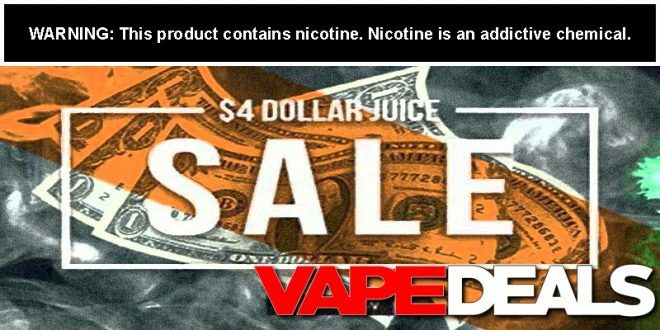 So, don’t wait too long to head on over to Vapedeal to check out the sale. Also, take note that this is a limited time offer with just over 48 hours left (at the time of this posting).